Seth Eliot's Blog » Blog Archive » Better software through SCIENCE! « Data-Driven Quality explained – part 1: questions? what questions? A hypothesis is a suggested explanation of observed phenomena. Given such an explanation one can then make predictions about those phenomena given certain conditions. But for a hypothesis to be truly useful it should be a specific, testable prediction about what you expect to happen. For example, Galileo might ask the question "Is speed of a falling object dependent on its mass?" The hypothesis Galileo formed was that two objects of different mass, dropped from a height, would strike the ground at different times if falling speed depended on mass. The hypothesis differed from the original question in that the hypothesis predicts an experimental outcome that can be tested. The experiment in turn yielded data indicating nearly simultaneous impact with the ground, and the analysis concluded that falling speed is not dependent on mass. In my previous blog (Data-Driven Quality explained – part 1: questions? what questions? ), I introduced DDQ. 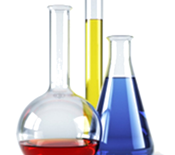 DDQ represents application of the scientific method to software quality. 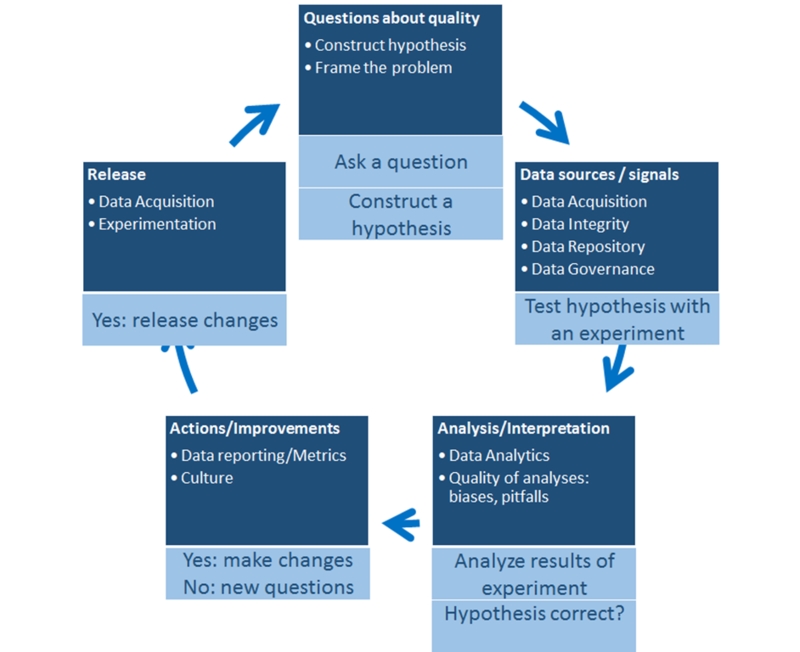 The steps of the scientific method can be mapped to the DDQ model as seen below. Instead of the nature of universe though, we are interested in answering questions about the quality of our software. For example we might be interested in learning why less and less folks are using Internet Explorer as their web browser. Based on some preliminary research we may hypothesize that users abandon IE when they encounter web pages that do not function properly, but work better in other browsers. We might then configure IE malfunction with a select set of popular pages and assess whether IE abandonment rates are higher for users of those pages. Um….no…. that would be pretty stupid. So we take a cue from social scientists here. Social scientists do not send out crack teams equipped with highly addictive narcotics to supply certain neighborhoods that they can contrast the effects with other neighborhoods. They instead find existing populations that already exhibit the attributes they need for comparison. In our case we would compare users of pages known to malfunction in IE to see if there is a significantly higher abandonment rate than users who do not encounter such pages. If confirmed we can then dig in and identify the chief offenders of browser compatibility and fix them…. then re-assess. Testability, data-driven, answering questions… these should all sound familiar to any software professional as good practices. Using DDQ and the scientific method is a powerful way to apply these for your software. This entry was posted on Saturday, November 29th, 2014 at 11:05 pm	and is filed under Uncategorized. You can follow any responses to this entry through the RSS 2.0 feed. You can leave a response, or trackback from your own site.